Download ppt "STEPs Scenarios for the Transport System and Energy Supply and their Potential Effects Framework Programme 6, Call 1A Thematic Priority 1.6.2, Area 3.1.2,"
DNV No. 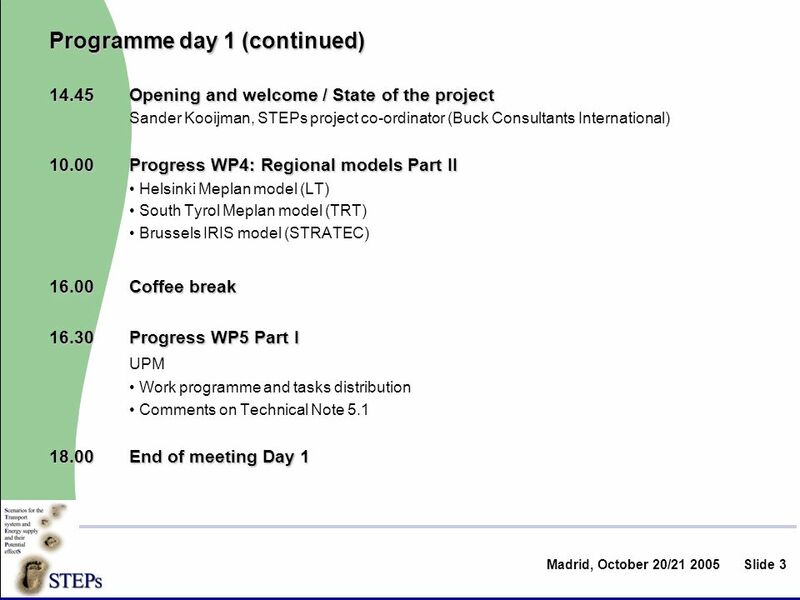 1 © 2000 Det Norske Veritas D ET N ORSKE V ERITAS THEMES Plans and expected contribution WP VII - Network Management. 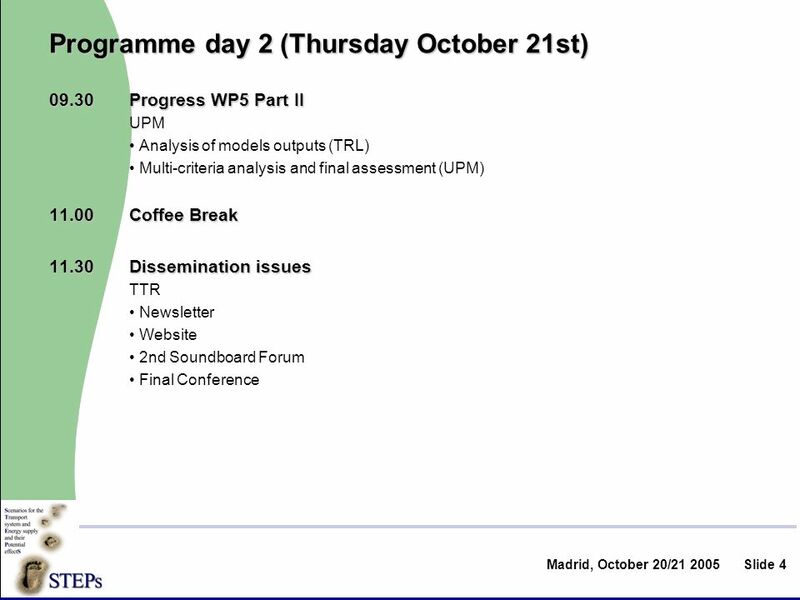 Framework Programme 6, Call 1A Thematic Priority 1.6.2, Area 3.1.2, Task 1.10 Instrument: Co-ordination Action + Additional Research STEPs Scenarios for. 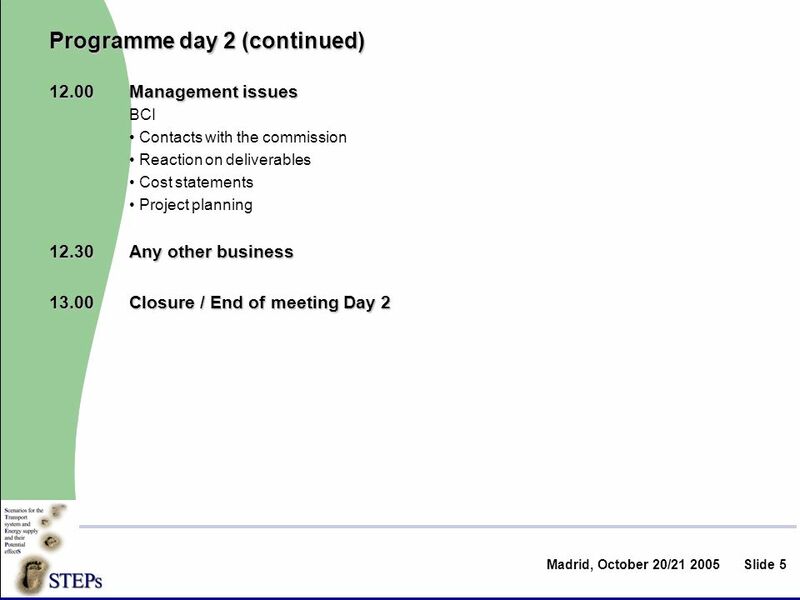 DEBCO meeting Uso riservato aziendale 1 AGENDA: Technical Progress Meeting 9.30 – Welcome by … Start of partners presentation and activities: Partners. Munich, 21. – 23. October 2005 Welcome to the UEMS Management Council Meeting 2005. Virtual Biodiversity ViBRANT Scripting Life: goals & logistics for day 2 Vince Smith Natural History Museum, London ViBRANT Virtual Biodiversity. The sole responsibility for the content of this presentation lies with the authors. It does not necessarily reflect the opinion of the European Union. 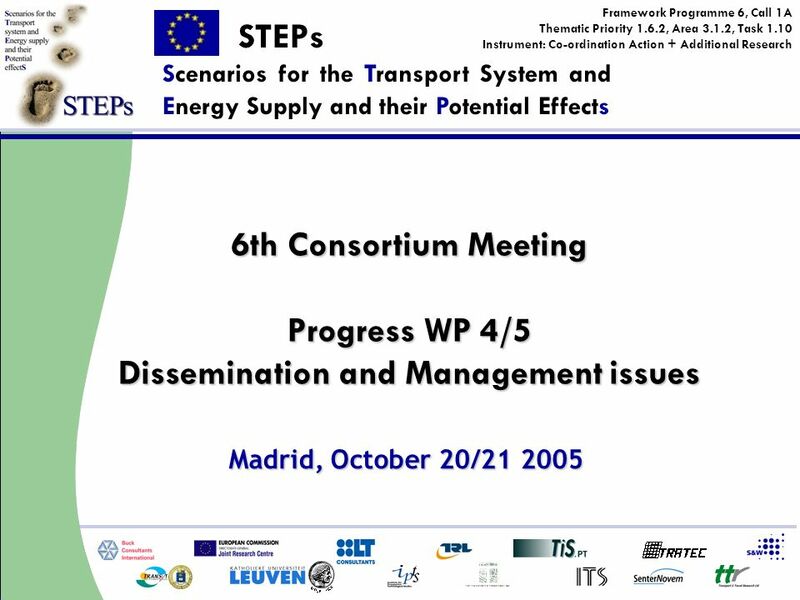 TRT Trasporti e Territorio FTA Seminar Seville/Spain - Slide 1 STEPs Project Scenarios for Transport and Energy Supply and their Potential Effects Framework. OPEN DAYS 2008 presentation of the event to the regions/cities 14 December 2007 Committee of the Regions. FREEDOM DRIVE 2013 The Future of Independent Living, Active Citizenship and Europe – 12 September 2013.